These Pro Grade Landscape / Direct Burial speaker cables are the perfect complement to your high performance landscape or outdoor speaker systems. 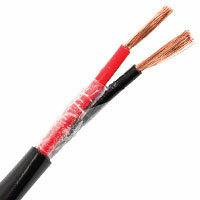 These cables offer reliable high performance in all outdoor environments. Many of the cables offered here have high strand count oxygen free copper conductors, and are gel filled for significant moisture protection and jacketed with a special material ideal for direct burial applications.